Keeping chickens is not only fun for you and your kids, but also an excellent way of turning waste into food. Your hens will provide you with eggs, and the process of raising chickens can be a fulfilling and entertaining hobby. Keeping chickens can be very easy with the right knowledge, setup and equipment. 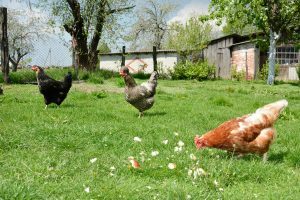 In this article, we are going to share with you how to go about keeping chickens in your back yard. Before doing anything, make sure to check with your town hall. Many cities and towns have strict ordinances about farm animals. So, make sure that your town allows you to keep them in your area. Chickens require a secure, clean and comfortable coop to rest and nest in. They need proper protection from the extreme weather, vermin and predators like foxes, bears, bobcats, dogs and cats. Unless you have prior experience building structures, you should consider buying a chicken coop. A proper coop is vital for your chicken’s health, therefore buy a coop that’s built by professionals. To set up the chicken coop, you will need to allocate adequate space in your backyard or garden based on the number of birds you intend to keep. Set the coop in a location where they can wake up to sunlight, but is safe from predators. The coop’s flooring can be covered with wood shavings, chopped cardboard or straw. Remember to make space for water and food in the coop. Chickens generally require adequate space to safely run outside of their coop. Provide your birds with a well fenced area where they can get plenty of exercise and sunshine. You’ll need a run that’s at least 4 sq ft per chicken. Make sure the run is secure from predators, and is free of gaps and cracks where your chickens could slip through. A roost is basically an area that’s 2 ft off the ground. You can use a wide plank or bar as your roost. The roost is very important to chickens, since it allows them to sit off the ground. It also helps protect them when the floor or ground is wet. Chickens require a nest where they can lay eggs. You can have several boxes all around the coop. The nest boxes should be large enough for the chickens to comfortably fit inside. You can mount the nest boxes on the cool side of chicken coop about a few feet off the floor/ground. Allow a nest box for every chicken. The nest’s bedding material can be straw or shavings, and should always be kept dry and clean. When the bedding material in the nest boxes becomes soiled with broken eggs or feces, you should pull out the soiled or wet parts, and then put in some fresh bedding materials. This will help keep your birds laying in the boxes, as well as making it easier to clean the eggs. Coops should be thoroughly cleaned and sanitized at least twice a year (or more). Make sure you remove everything from the chicken coop (including chickens), and then thoroughly wash down all of the surfaces with 1 part bleach to 10 parts of clean water. Rinse thoroughly and let dry. Once dry, everything can be replaced. Chickens just like other animals require a well balanced diet. There are feeds which have been created which contain the right balance of nutrients, minerals and vitamins. If you want your birds to stay healthy and produce quality eggs, it’s best to feed them the specially formulated chicken feeds. They’re available as powdered mash or as pellets. A single chicken normally eats about 1/2 a cup of feed each day. Always measure out enough feed for your chickens, and then place it in the feeder. Ensure the feed you buy is suitable for the type of chickens you have. The feed manufacturers normally label their products accordingly; that is, suitable for layers, chickens or growers. That said, it’s important to note that chickens need a variety of foods so as to produce quality and great tasting eggs. The best way of achieving this is by supplementing the feed with your kitchen food scraps. The food scraps provide adequate minerals and vitamins which are necessary for the chickens health. Leftover grains, fruits and vegetables are perfect for your chickens’ health. Most kitchen food scraps are safe for chickens, however, there are some foods which shouldn’t be feed to chickens. Never feed your chicken raw potatoes, chocolate, rotting food, avocado, rhubarb, dried beans, peanuts, tomatoes, raw meat, coffee, and pepper. You can also provide grit which aids in digestion and providing your birds with extra calcium. You can purchase grit online or even at your local livestock store. You should provide your birds with fresh, clean water at all times. Make sure the water container is free of debris and full of water whenever you happen to check on your birds. Add fresh water as needed, or replace any water that has been contaminated. You should collect eggs on a daily basis (preferably in the afternoon). Leaving the eggs in the nest boxes for a long period of time increases the risk of the birds damaging them and the eggs can also lose their freshness. If you find any broken eggs, you should immediately remove any egg shells and yolk. If there is any feces in the boxes, you should clean it out and replace the bedding material. Eggs can at times be very dirty and should be cleaned. Do not use cold running water, instead wipe the eggs with a dry cloth. If the eggs have muck, you can use a warm wet cloth, a dry steel wool or even fine sandpaper. Once you have collected and cleaned the eggs, it’s time to store them. Package the eggs in cartons, and put them in a refrigerator. Fresh eggs do not have to be stored in a refrigerator, but they’ll last much longer this way. When packaging, place the eggs with the pointy ends down and the blunt ends up. Remember to write down the collection date so that you know the actual age of each egg. -Always keep your chickens safe from vermin and predators. A solid fence outside your chickens’ coop can help keep your birds safe. -Sweep the coop on a daily basis, and keep any leftover food off the floor/ground. -Roosters are generally loud, so keep this in mind if you’ve neighbors nearby. -Remove any sick chicken from the rest of flock, and talk to your vet. -Treat your chickens as needed for pests like fleas, mites, and lice. Happy Chicken Owning and fresh eggs for everyone!! Guinea Pigs come in a variety of colors!! Would You Consider A Guinea Pig ? Guinea pigs, also known as cavies, are affectionate, social, gentle, and intelligent species which are easy to keep and often bond well with their owners. They’re popular pets especially for families because of their great temperaments. In this article, we are going to discuss how to properly care for a guinea pig as a pet, here are our Guinea Pig Basics. Guinea pigs need a large predator proof cage, somewhere inside your home. For one guinea pig, the cage should have a space of no less than 7.5 sq ft, or 10.5 sq ft for 2 guinea pigs. However, a bigger cage is always better if you’ve enough space. The cage should have a solid bottom to protect your guinea pig’s fragile feet. Guinea pigs generally love hiding, so you can provide enrichment by placing things like cardboard houses, hide away castles, hay nests, and plastic tunnel pipes in the cage. Guinea pigs normally use the bathroom wherever and whenever they please so you will need bedding material that’s absorbent but does not cause any harm. The safest and best type of bedding is dust free hay or shredded paper. Don’t use softwood shavings like cedar or pine because their oils can be very unhealthy for the pet’s lungs. You need to find a safe location for your pet’s cage. You can place it where there’s high traffic, but not in direct sunlight. They must be placed in a draft free area. The best temperature range for guinea pigs to be comfortable is approximately 65-75 degrees Fahrenheit. Guinea pigs should be housed away from wood stoves, fireplaces and heating vents. Guinea pigs are relatively clean, so you should try to clean the cage from any soiled bedding daily. Remove the droppings, any uneaten food and scrap all the mess from the bottom of the cage. Thoroughly clean the cage, the water bottle, and replace the hay and shredded papers. The frequency of cleaning the cage generally depends on the type of bedding material used, and the number of guinea pigs you’ve got. High quality, fresh, dust free Timothy hay should always be available for the guinea pig to eat. Timothy hay maintains a healthy digestion while helping wear down the guinea pig’s teeth, thus preventing them from over growing, or getting misaligned and becoming uncomfortable or painful. Lack of good quality hay can actually lead to malocclusion and GI Stasis. Alfalfa hay should only be given as a treat. You can also feed your guinea pig fresh fruits and vegetables occasionally. Fruits and vegetables should make about 25% of the guinea pig’s diet. Fruits and vegetables which are good for your guinea pig include; apples, corn, carrots, green lettuce, zucchini, celery leaves, spinach, melons, papaya, grapefruit rinds, broccoli, kale, cucumber, carrots, parsley and tomatoes. Vegetables to avoid feeding your guinea pig include; iceberg lettuce, beet greens, potatoes, red leaves, rocket salads, cauliflower, and radishes. Also don’t feed caffeine, chocolate or alcohol as they can cause very serious medical conditions. One of the most crucial elements of caring for a guinea pig is providing it with fresh, clean water at all times. You can provide water by using a clean water bottle that can be attached to the side of the cage. Another method is putting a water bowl in the cage. Remember to always keep your guinea pig’s water bottle or bowl clean and change the water on a daily basis. Grooming is an important part of the routine care of guinea pigs. That said, you should know that guinea pigs generally stay clean and rarely require baths. However, if you have to bathe you pet, it’s recommended you wash them gently with warm, clean water. Avoid getting water in your cavy’s ears, and gently dry your pet after bathing. It is recommended to regularly brush your guinea pig’s coat so as to remove any loose hairs, and lessen shedding. You can use a small, soft brush. When brushing your guinea pig, you can check for problems like sores and lice on the skin. The frequency of brushing will depend on just how long the guinea pig’s fur is, and whether he/she is shedding. Consult a vet or a groomer for advice on proper hair trimming if there is excessive hair or matting. When the nails become too long, they should be trimmed. If you do not trim long nails, they will develop a retro curl which can dig painfully into your pet’s pads, causing twisting of paw bones. To avoid this, nail trimming should be done every few weeks. An ordinary nail clipper will work. Avoid cutting into the fleshy part of the nails; shine an additional light source (like a flashlight) behind the nail so you can see the beginning of the living/fleshy part. 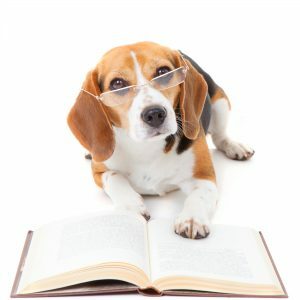 If you’re unsure about how to go about trimming the nails, then it’s best to consult a veterinarian or a professional groomer. Provide your guinea pig with some floor time every day, where they can freely and safely wander, run and play. This exercise time is important to your guinea pig’s happiness and health. Since guinea pigs like foraging, you can also provide your pet with toys which hide treats. You can buy appropriate toys or you can even make your very own toys out of oatmeal containers, boxes and more. Remember to always keep a watchful eye on your guinea pig when playing outside of their enclosure. Guinea pigs are very friendly, cuddly and enjoy being held once they have acclimated to their new surroundings. When picking up your guinea pig, you should always use both of your hands. Place one hand across the shoulders with the thumb tucked behind the pet’s shoulder and the fingers wrapped around his/her ribs. Hold gently, but tightly enough to be fully secure without squeezing, and then put the other hand underneath the pet’s hindquarters for extra support. Frequent handling is great to your guinea pig’s happiness. You can talk to your guinea pig, cuddle, carry, and pet him/her as often as possible. Nothing like a good book in the summer! !